DETROIT (AP) — Mike Fiers got the Detroit Tigers off to a nice start. Too for him, it didn’t last long. 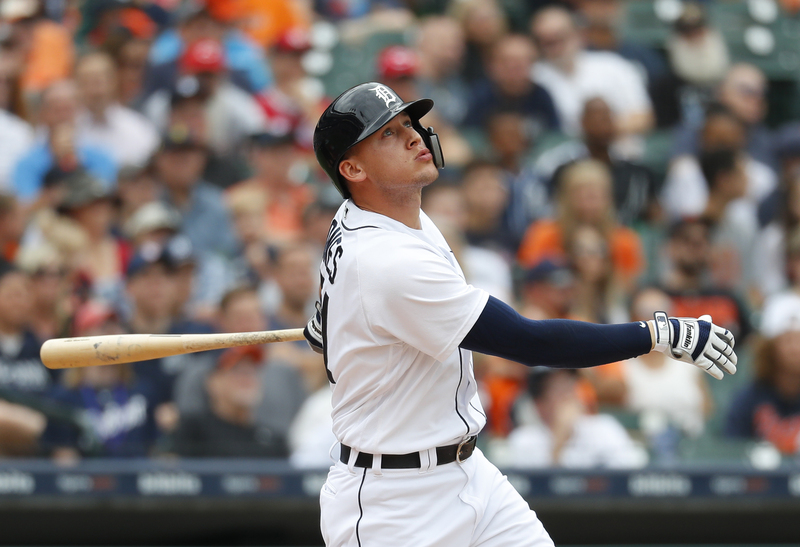 “That was supposed to be easy,” Tigers manager Ron Gardenhire said. Fiers was struck by a liner from Mason Williams, who wound up with a single when the ball caromed toward the first base line. Fiers finished the inning but didn’t come out for the third. X-rays on Fiers’ shin were negative. It was unclear whether he will make his next scheduled start. Detroit made it 6-0 in the sixth when Ronny Rodriguez hit an RBI double and scored on Iglesias’s single over a drawn-in infield. A throwing error by left fielder Phillip Ervin allowed in another run. Cincinnati closed to 6-4 in a four-run seventh, starting the inning with six consecutive hits off Alex Wilson that included Preston Tucker’s RBI single and Curt Casali’s two-run double. Reds: With OF Scott Schebler (right shoulder) still waiting to start a rehab assignment and OF Jesse Winkler having season-ending shoulder surgery on Tuesday, Tucker was Cincinnati’s designated hitter and will see action in the outfield.